The Vacaville Early College High School program is an educational partnership between the Vacaville Unified School District and Solano Community College, designed to prepare students for college success by providing them with rigorous coursework and college classes beginning in ninth grade. The program is available to all students grade 9 and up. 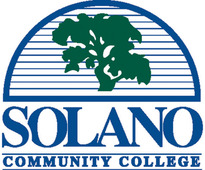 Classes are taught at Will C. Wood High School and the Solano Vacaville Center. Please note: Students must enroll as Will C. Wood students and cannot attend other local high schools. Click on Bell Schedule above to view as pdf and print. VECHS Class of 2022 Orientation! The counselor for all VECHS students is Jamie Russell. She is located at Will C. Wood High School in the administration building. For questions or concerns regarding the VECHS program her email is Jrussell@vacavilleusd.org or by phone (707) 453-6900 ext. 1004. Please note- Mrs. Russell is not on campus on Thursdays.